Lambda Wars (formerly Half-Life 2: Wars) brings the struggle between the human resistance and their Combine overlords to a multiplayer real-time strategy setting. The Lambda Wars beta only requires Alien Swarm installed to play. 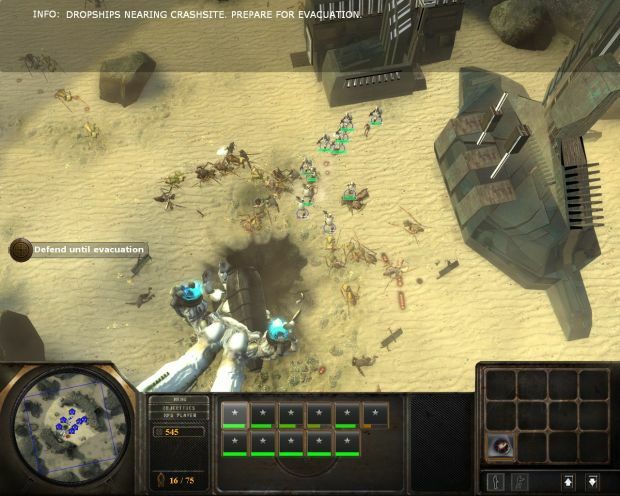 It features 3 multiplayer game modes: Sandbox, Annihilation and Overrun, showcasing the Rebels and Combine playable factions and a full-fledged RTS interface and HUD. There is also a singleplayer tutorial and a handful of singleplayer missions. yeah a good good very good mod. But they need more buildings.